Le Creuset Wine Tools, featuring acclaimed Screwpull heritage and innovation, has earned a reputation with discerning consumers and wine connoisseurs alike as probably the best and most innovative wine accessories in the world. 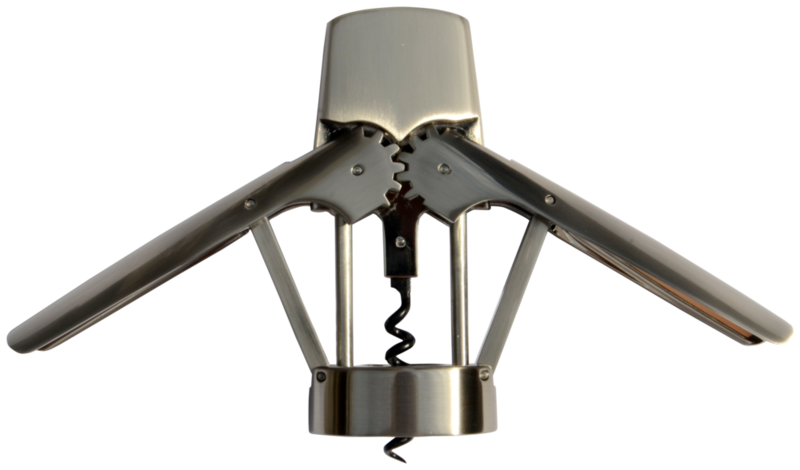 The products are designed to make opening and serving wine and Champagne perfect and effortless every time. With breakthroughs like friction-reducing rotation technology for smooth cork removal, each new design blends signature style and superior performance into a stunning, functional form. Screwpull products are an ideal choice for giving as a gift. As the head of the Winged Lever is turned, the corkscrew slides into position and the levers are raised, while pushing down on the levers extracts the cork in one smooth and effortless motion.